Coming to the end of the catch up! Just a few more, and then I'll go back to doing them in real-time as I finish. I hope you've gotten some new ideas on what to read (or what not to) over the past few months. 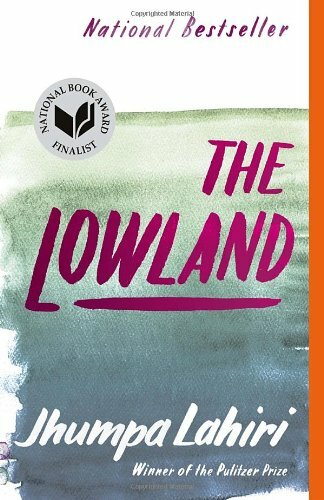 The Lowland, by Jhumpa Lahiri. Sweeping, epic-like novel of two brothers from India. I liked it, but I can't say it's a happy or feel-good story. Some elements reminded me of Cutting for Stone, but not quite as good as that stunner. We Are Water, by Wally Lamb. favorite author, another great novel. I will read everything he ever puts out and enjoy it. Go get it, but get his other ones, too (I Know This Much is True is probably my favorite). Tell the Wolves I'm Home, by Carol Rifka Brunt. coming of age story, young narrator, very moving and lots of grief but I liked it. Worth a gander.